Immerse yourself in pure relaxation, detoxification and meditation with Aleigh Dindar enabling you to release, revive and rejuvenate at our Yoga classes on Monday mornings from 9.30 to 11am. The group meets in the Function Room in the main (front) social centre building. 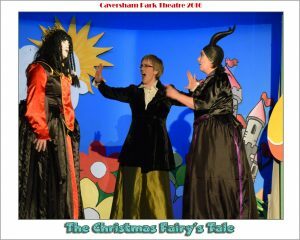 Our Drama group, Caversham Park Theatre, meets every Friday evening and put on two shows per year, usually in May and December. The theatre is in the Recreation Wing in the "top building" behind the social centre. See the Drama News page for information on their latest productions. Next production: 17/18/19 May 2018 - Mort by Terry Pratchett. Whether sport, drama, or quiz nights in the bar are your thing, you’ll find a host of opportunities at the Milestone. We also provide a home for great pre- and post-schools and for the Caversham Park Village Residents’ Association. Browse these pages to find out more.